Offering a truly unique experience in a friendly family orientated environment. The traditional indian cuisine is renowned both locally and further a field. With ample parking located just off Doncaster Road (A638) between Crofton and Ackworth. before Nostell Priory. 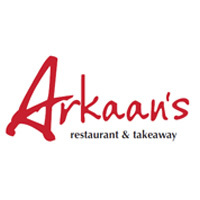 For the remainder of the 2012/13 season the referee voted man of the match at home games will receive a complimentary meal for two at Arkaan's Indian Restaurant.